This chapter traces the evolution of development communication and examines how it has helped or hindered peaceful coexistence in Africa. 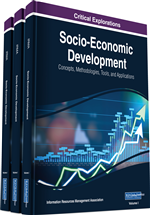 Starting with the dominant paradigm of the 1950s and 1960s, it explains the critical and dependency model of the 1970s as well as the participatory paradigm of the 1980s before concluding with the most recent iteration which is the social entrepreneurship model of McAnany (2012). These provide a backdrop for examining the place of communication in the recent developments in the six African countries which are among the 10 fastest growing economies of the world today. The final picture to emerge is one that underlines the importance of strategic communication in planned social change, especially in promoting peace and curbing inter-ethnic violence. The term ‘development communication’ is still not fully understood and it is far from clear how communication contributes to development despite more than half a century of continual scholarly and practical attention to the salient issues of the subject in all the regions of the world. Regardless of whether it is called development communication or communication for development or development-support communication or social change communication, it is taken to refer to the understanding that the state of socio-economic growth and social change in a community is a function of the extant communication processes that include interpersonal and mass media contexts. Development communication, as a term, came into greater use in the 1970s, following the coinage by Quebral (1972, 1973) who defined it as the art and science of human communication used in planning for and bringing about strategic transformations of a society to alleviate poverty and achieve better and more equitable socio-economic growth that involves the larger unfolding of the potentials of individual peoples.